Nearly my entire morning was spent with a customer looking for a cheap home that would fit a single workingman’s basic needs. Once again, I was brought up to speed on how picked over the cheaper homes have become to where there’s really nothing out there with good bones that a man with a strong back can bring back to life. We saw bad foundations, rotten windows, hollow core doors that were as weak as cardboard, and mounds of deferred maintenance. Since it’s my duty to point out flaws which the general public would normally miss, I couldn’t help but interject, “I’m not trying to keep you from buying these homes, but rather telling you these things because it’s my job.” He laughed and said, “You’ve got quite the eye for seeing things I missed.” I did remind him that I’ve been selling homes since before many of our trees were planted. One of my appointments took me out to a house where I had to meet several contractors who’re going to be doing some work for its owners. 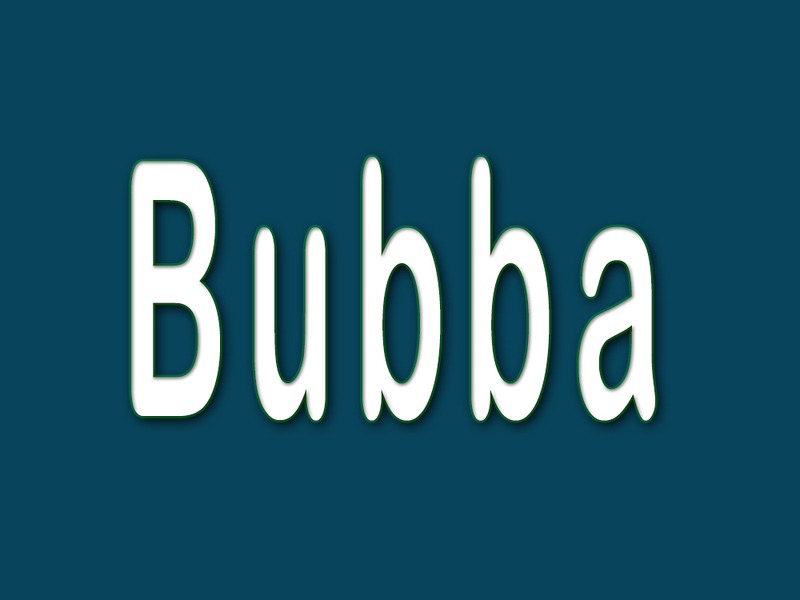 I wasn’t paying much attention to what they were saying until I heard one of them being called “Bubba”. I perked up and asked, “Did I just hear one of you call the other Bubba?” “Yeah, I did.” answered one of them. The memories of Bubba who was my childhood friend came rushing back out of those deep recesses of my memory bank. I couldn’t help but share my story about Bubba with those two. Bubba was a blond-haired and blue-eyed young man who suddenly arrived at our school and ended up in my third grade class. He was terribly shy and a bit on the frightened side as most would be at that age in a new school and strange city. Playgrounds are always where you get the rest of the scoop, so by the time we were back in our classroom, I learned that his father was sent here from Tupelo Mississippi to be the manager of one of our factories which has long since closed. You talk about a southern accent! Whenever we played together, I couldn’t help but laugh at the way he pronounced certain words along with the strange new words I’d never heard before. For some reason, we became the best of friends in a very short period of time. We told secrets to each other, we built a private fort together, and we shared cookies snitched from our mother’s cookie jars. One sunny Saturday morning Bubba came a knocking at our back door. I went out and found him crying his eyes out. I was fearful something terrible had happened at home. Between his sobs he blurted, “My Dad says his boss is making us move back to Tupelo.” I was heartbroken. During his last month in Mason City we made promises to write to each other and visit when old enough to drive. As their moving van was pulling out of their driveway, there I stood hollering at him and waving my endless goodbyes as the tears streamed down my face. Hearing the name Bubba today reminded me of my failure of not staying in touch with him as well as how precious and memorable relationships can be even when so very young. Perhaps deep down, that happening so long ago, made me all the more sensitive to how special real friendships are, as well as how we must work at maintaining them. Yes, we’ve walked down our roads of life and failed miserably at keeping in touch with those with whom we’ve bonded.